New Student Veterans Lounge Bu.. Voters are more excited for the upcoming midterm election than they have been for any midterm in more than two decades. However, some are already predicting that young voters won’t turn out to cast their ballots. Whether you’re excited about voting or not, the decisions you make on your ballot November 6 can have lasting effects on policy that impacts you. 14 East wants to make sure you have all the knowledge and resources you need to make informed decisions at your polling place this November. But we know it can be difficult to even get yourself to the ballot box, let alone know what you want once you’re there. 14 East has your back. Below, learn how to register to vote, check if you already are, find your polling place and more. On Monday, October 1, 14 East and DePaul’s Chapter of the Society of Professional Journalists (SPJ) held our fifth Public Newsroom. The monthly programming series originated from City Bureau, a nonprofit journalism newslab in Woodlawn. Since the gubernatorial election is quickly approaching, this month’s Public Newsroom collaborated with the Better Government Association (BGA), a nonprofit organization that holds Illinois public officials responsible through reporting and advocating for transparency. Each election the BGA develops a voter guide for Illinois residents. This election’s guide, Illinois Votes, is a website that allows visitors to research candidates, ask questions, take a quiz and prepare their ballot. Register to Vote — It’s not too late to register to vote, and you can still register to vote in Illinois even if you live out of state. Online registration for the November 6 election is open until 30 days before the election, so Tuesday, October 9. After that there is a grace period to register to vote that runs through election day. You can register in person at specific locations across the city and state. If you aren’t sure if you are registered to vote illinois, you can check the Illinois State Board of Elections records. Make sure that your information is up to date, including your name and address. You can update your registration by contacting your election authority. Once you know you are registered to vote, find your polling place. Early voting began on September 27 and will be open until November 5. If you plan on voting early, double check that your polling place will be open. Otherwise, doors open on Election Day at 6 a.m. and close at 7 p.m.
And before you head off to the voting box, prepare your ballot with Illinois Votes. You can learn about every candidate who will appear on your ballot and create a sample ballot to print out and bring with you when you vote (you can also email it to yourself and look at it that way). 14 East also created a guide to voting in the primaries in March. Some of that information still applies this fall in the midterms. Having a plan for Election Day also makes you more likely to show up and vote. 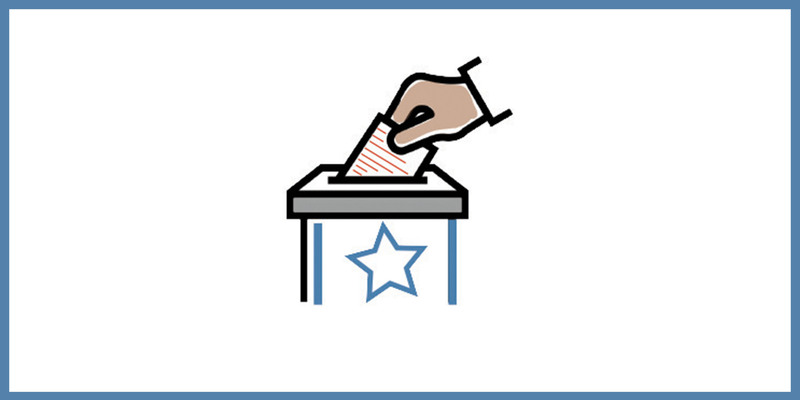 Everyone’s busy — so knowing what time of day you can go to your polling place, and how you can get there from work, classes or other activities, will help to hold yourself accountable. Placing reminders on your phone and telling friends and roommates when you’re going are just a couple ways to do this. If you have questions about voting that we haven’t addressed, submit it to ilvotes.org under the “Ask” tab. Editors note: An earlier version said City Bureau is based in Hyde Park.